Whoa dude. Another year is over. 2013 is upon us and it's so, so, so crazy to me how much we pack into a year even though sometimes the days seem long. One of the (many) reasons I maintain this little space is for me--to keep a running record of our lives, my thoughts, stories for Georgia, and how much I want to remember, forever, all of the little things, all of the big things, and the in-between things. 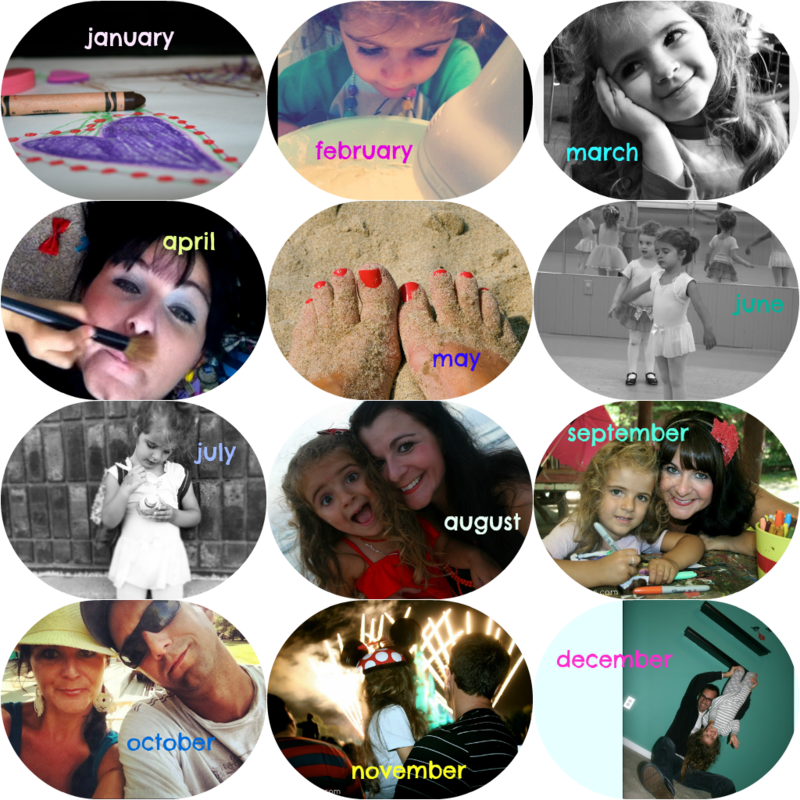 I looked back at the year Pink Shoes has had and chose a post I really liked from each month. Check them out if you haven't yet! February: Mom Guilt. Stop Ignoring it. September: Traditions. Are you building them? I didn't include many of my adoption posts in this list--December is really the only one. And there's a really silly reason for that, because my adoption posts are hands-down my favorite; no pictures. I generally don't include a lot, or any, pictures in my adoption posts--the really serious ones. I can't always find pictures that I think are appropriate and I don't want to necessarily take away from the words because I really mean them. Maybe I should change that though. I sense a resolution taking shape. You can absolutely always get to all of my adoption posts however, through my adoption button in the left side-bar. Adoption is the cornerstone that allows this blog to exist--you can be sure. It's my cause. It's the most important thing I've ever done and I hope I never tire of talking about it and fighting for all that it means, both for birth-parents and adoptive parents. I am so grateful for all of you that return to Pink Shoes over and over to read what I write, leave an amazing comment, let me know I'm not alone, and in the course of a year have become a tremendous support system. I've 'talked' to some of you via e-mail at great length about amazing things and about really hard and horrible things when it comes to adoption. I learn everyday what it means to be a brave and a selfless parent from so many of you. The stories you share.........I hold them as some of the most precious that I have. The battles that some of you are fighting.......they're so hard, unimaginable really.....and yet you do it relentlessly because you know what it means to love a child. You make yourselves vulnerable because being a mama is that amazing and you know it's worth it. I stand in awe and am humbled by what I've learned from some of you. Thank you for standing in the trenches of adoption........next to my daughter's birth mom.........you are my heroes. 2013. I pray it's miraculous in exactly the way you need it to be. Can't wait to see what's in store for 2013!! Just came by to say that one of my favorite things about 2012 was "meeting" you! Hope 2013 is the year we can meet in person!! Love you & your blog!